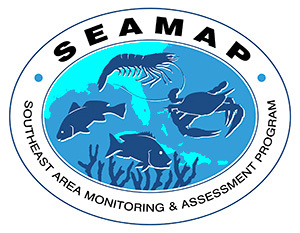 This is the second preliminary data summary for the 2002 SEAMAP Summer Shrimp/Groundfish Survey in the northern Gulf of Mexico. This week's summary includes sampling June 11 through June 13 by the NOAA Ship OREGON II east of the Mississippi River, and sampling on June 12 by Texas vessels. Catch data from the OREGON II were taken with a 40-ft trawl. Catch data from the Texas vessels were taken with 20-ft trawls. The catch data east of the River indicated that the highest brown shrimp catch rate was 10.7 lb/hr of 59-count shrimp at 30°01.0' N. lat. and 88°27.9' W. long., in 14 fm. No white shrimp were caught east of the River during this sampling period. The catch data east of the River indicated that the highest pink shrimp catch rate was 6.8 lb/hr of 38-count shrimp at 30°00.0' N. lat. and 88°16.6' W. long., in 15 fm. The highest finfish catch rate east of the River was 155 lb/hr reported in 20 fm at 29°42.2' W. lat. and 88°06.1' W. long., with longspine porgy being the predominant finfish species. The catch data for Texas indicated that the highest brown shrimp catch rate was 1.6 lb/hr of 74-count shrimp at 27°40.9' N. lat. and 97°02.5' W. long., in 18 fm. The highest catch rate of white shrimp in Texas was 1.1 lb/hr of 17-count shrimp at 27°45.3' N. lat. and 97°04.5' W. long., in 11 fm. The highest catch rate of pink shrimp in Texas was 0.6 lb/hr of 35-count shrimp at 27°42.7' N. lat. and 97°02.4' W. long., in 17 fm. The highest finfish catch rate off Texas was 69 lb/hr reported at the same location, with trout being the predominant finfish species.